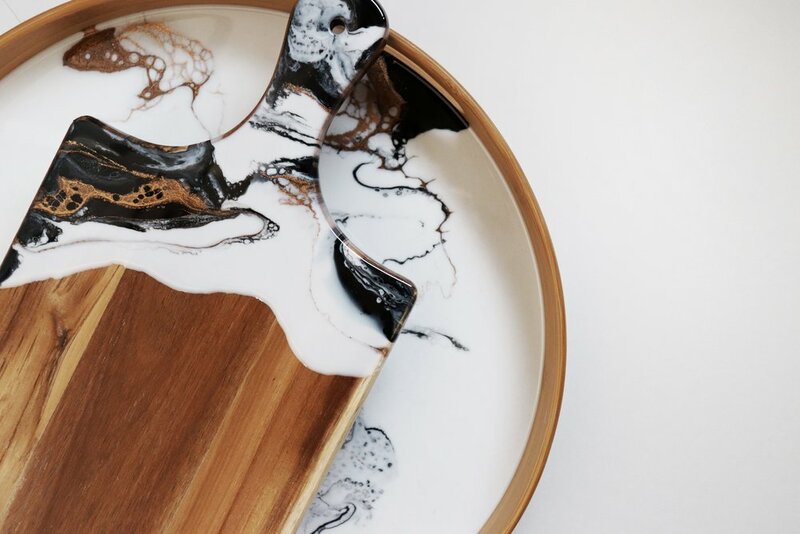 Bamboo Wood Homewares with Resin Art in Black, White, and Gold. This collection of classic homewares will be updated and restocked as more are made. Each piece is one of a kind, so your piece will be completely unique and, therefore, slightly different from the design shown.